It is peach season in Texas. Last year there were no peaches due to a draught. This year, when I saw the first display of peaches, I decided to plan an excursion to drive a short two hours in hopes to explore and discover the orchards that produce them and the markets that sell everything peach. I invited my 15 year old daughter along and by the time we piled into my car early one Saturday morning, our party had grown from the two of us to the five of us. Joined by our friends, the car was filled with females representing two generations of women: 50 something’s and teens. It dawned on me that regardless of our different ages and stages in life, a simple search and find adventure brought all of us together for one common goal. As we travelled, the car provided a space where our different desires and opinions surfaced through the variety of music, language and topics of conversation. Our differences were not the focus, but rather they added comradery as we headed toward our goal. Upon our arrival, we made a decision to take a detour to explore the town’s Trade Days Market. The girls went one way and my friend and I went another, each of us choosing booths of various likes and interests. The rows and rows of different offerings from each vendor provided a smorgasbord of choices. There were antiques revived to the ‘new vintage’ look, tastes of jerky’s, jams, fudges, salsas and mixes; handmade quilts, clothing creations, wood carvings and other things too many to mention. After finishing, we loaded our goods and our bodies into the car to head to our next destination. Lunch in town, then off to the peach jubilee. We passed orchards thick with trees already picked clean of their luscious fruit. As we got closer to our destination, I felt my anticipation rise as I imagined the jubilee filled with everything peach. However, when we arrived, I was disappointed to find we had missed it. Somewhat deflated, I began my apologies admittedly waiting for the wake of the disappointment. I was pleasantly surprised when, instead of faces and words acknowledging my failure, I was greeted with smiles and ideas for something different. Disappointment did not ruin the remainder of our day. On our way back to the car, we discovered a counter where thankfully, peach ice cream was still available. We purchased three bowls of thick cream filled with large chunks of peaches as we set out with a new plan. The sweetness of grace. All was not lost! 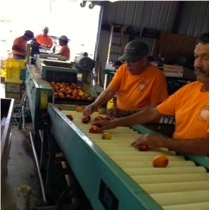 We met the orchard workers and witnessed the process of harvesting the peaches. The peaches were put though a ‘water bath’ to remove the fuzz off the skin. They were then individually checked by hand. If bruised or hail damaged, the peach was removed and placed into a barrel to be recycled. 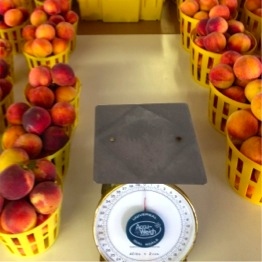 Once they passed through the examination, the peaches went into a funnel system that graded them “A” “B” or “C” based on their different sizes. After grading they were deposited into baskets priced according to their grades, “A”s chosen as the ones worthy to be displayed. We learned that the orchard had provided jobs for hundreds of youth in the area. It was THE place to work. Some employees shared that their families had worked the orchard for generations because of the love and care provided by the owner’s. It was apparent they loved their employers, their work and the peaches. Intrigued, I stood watching until I noticed I was standing alone. My party had vanished, succumbing to the sweet aroma wafting from the attached marketplace. Moving to join them, I opened the door and was greeted by a wall of the thick sweet aroma of peach. My mouth watered. I was amazed at the number of people standing in line at the counter, my party near the front waiting for more peach ice cream. Before heading home, we all enjoyed the succulent fruit that had been baked into pies and breads and blended into salsas, ice cream and smoothies. We made some memories that day, but more importantly, we seized the day, enjoyed relationships of grace free from comparison and ‘grades’ of our sizes, ages and differences, mistakes and bruises. We were five females blended together for a ‘go with the flow’ day. Using the homegrown peaches, I took several recipes and ingredients for Peach Salsa and blended them together to create my own. As I was making it, Tori, our daughter, our daughter came and joined me adding her own ‘ingredients’ of Cinnamon Tortilla Chips. Combine all ingredients and let stand one hour. Bake @ 350° for 5-10 minutes until crispy. Tips: To easily peel peaches, boil in water 2-3 minutes with skin on. Hello Ellen…this sounds delightful. I can just taste those peaches. Will keep this recipe on hold for my Happy Hour event. Miss you, my friend! Thanks Mary Jane…Miss you too! This is all so very like you my friend…the car full of ladies, young and old…the adventure to the peach jubilee and the go with the flow as the plans changed. I love it all, and the salsa is divine (we made it this week). 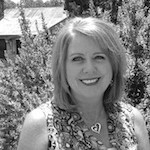 Your story reminded me of a trip we made with friends to an apple orchard, arriving to find out they were no longer picking. I love your flexibility and the ability to still enjoy experiencing it together. I love fresh peach anything, so I can’t wait to try this this weekend! So I want you to come here so we can ride around and go to Orchards. We live in the fruit belt and red haven peaches were developed here. Just something to tempt you with because I always love spending time with you. We could have all kinds of fun riding around! Red tent on Wheels.